At the forefront are the Italian fountains. 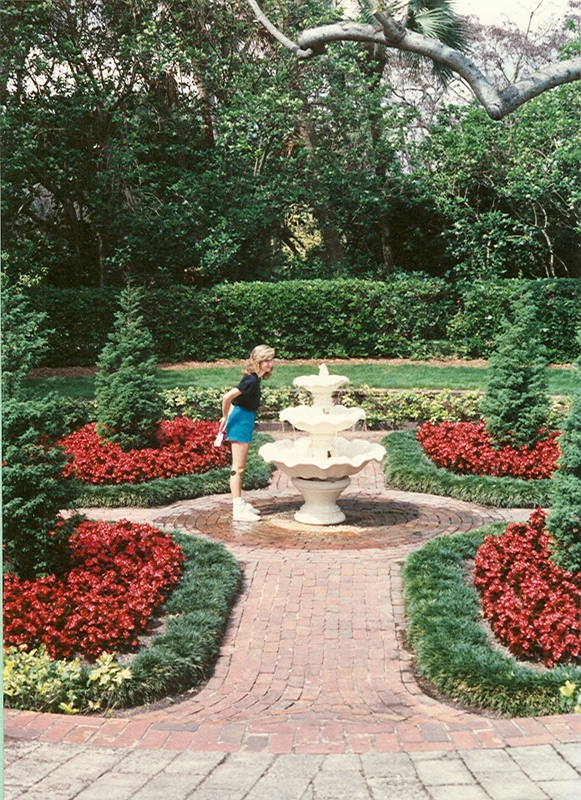 In front of the fountains is an English courtyard that has antique brick surrounding a formal English garden with plants and flowers native to England. To the left of the fountains is the "Little Bit of Ireland" area, complete with shamrocks, lollypops and the Blarney Stone. In fact, there are two Blarney Stones, a gold one for women and a silver one for the men, both of which guarantee happiness for anyone planting a kiss on its rough surface. Along the lake you can see the Grecian Stage and the Dutch windmill. Just over the trees you can make out the "All Amercian Rose Garden." Hope you enjoyed this trip down memory lane. I personally like what LL has done with this area by adding Miniland. It will be interesting to see how this area evolves in future years. 243 Posts Thanks for sharing that bit of history. I never knew Gardens of the World existed there. I was born in 1974 so I don't remember much about the park before HBJ bought it which I believe was sometime in the early to mid 80's. 93 Posts What a beautiful garden! Thank you very much for sharing this with us! 1451 Posts Amazing. It's too bad so few people appreciate this kind of place these days. 956 Posts Most of the Garden of the World was eliminated in the 1980's. The appreciation of such things started to die 30 years ago. When new things come about that are bigger and more exciting (like Disney World, Sea World, Universal, etc.) what was considered great in the past becomes unappreciated. 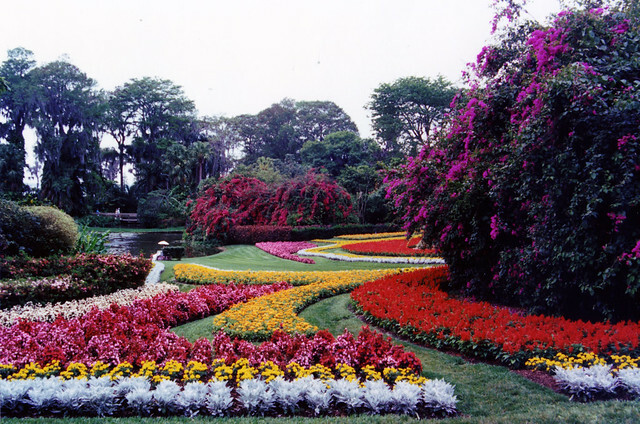 Most folks are very happy to trade a total garden experience for the more limited landscaping of the newer amusement parks to get all the variety of what the newer parks offer. Technology changes, what people enjoy changes, and times change. On the bright side, that made LL possible. History is nice, but live for and enjoy today. --Guest-- Greg, I think there's still a market out there for places that excel in botanical wonders. I believe part of CG's problem was it tried to be too many other things which distracted from its original theme...a world renowned botanical showcase. I know Ed will disagree and pull out the old argument about how CG failed by going back to its roots. We've already debated that topic and I don't want to clutter this thread with another exchange. Just relax and enjoy the pictures. 243 Posts There have been a few TV shows that have filmed at Butchart Gardens. Star Trek alone filmed some scenes for a few of their TV series. The only ones I know about are Deep Space Nine and The Next Generation. 956 Posts No doubt that a truly spectacular garden (especially in Canada) that has no major other attractions anywhere near it (except other less spectacular gardens) and is vastly more spectacular than CG ever was can indeed attract 1.2 million people. 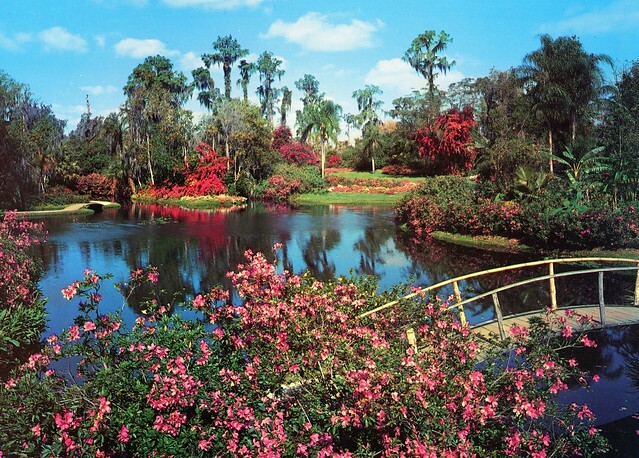 But unfortunately for CG it was never as spectacular as Butchart Gardens, it became surrounded by many very popular major theme parks, and while in one of the largest tourist markets in the world (Central Florida) could not attract enough guest to survive. CG did great when the competition was Weeki Wacheei, Silver Springs, Monkey Jungle, etc. - but the beginning of the end was when the Magic Kingdom was built and just got worse as each new major Central Florida amusement park was built. 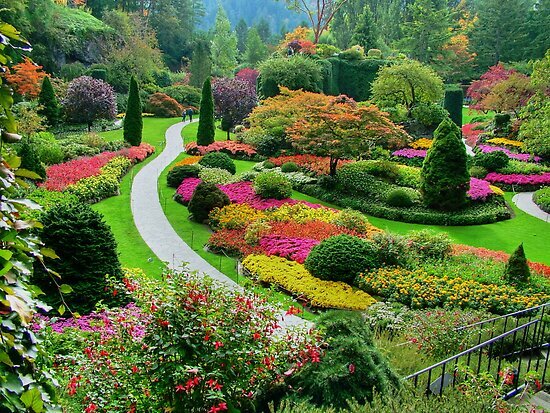 Central Florida tourists only have so much time and money - CG simply lost the ability to compete as a garden it was and no one was willing to risk investing the money to make it a garden as spectacular as Butchart Gardens. That is also part of the history of CG that you can't show in pictures but did indeed turn CG from the most attended park in Florida to finally being a partly opened side show to a children's amusement park. I also miss what CG was and went to CG for the 1st time in 1972. Went many times for many years thereafter. Have many good memories of being there and enjoying it. 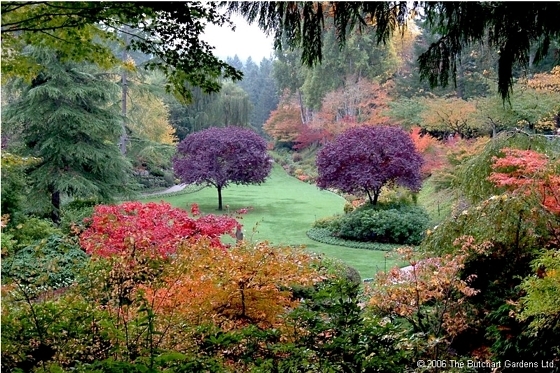 All the "look at Butchart Gardens" or "what if's" or "what could have been" doesn't change what CG is today or how it got to where it is today. Sometimes there is a sad ending if we want it or not. --Guest-- Some of the pictures Sean posted are from my Flickr account, slides taken by my grandpa in 1971. If you want to see the others, follow the link. --Guest-- NG, your grandpa took one of the best pictures of the gazebo that I've ever come across. It should have been made into a postcard! Another pretty shot of the gazebo was on the cover of this Golden Guild puzzle. I have no idea who took the picture...maybe it was NG's grandpa working is photographic magic again. 243 Posts Wonderful photos Sean, HBJ (Harcourt Brace & Jovanovich) really did a great job caring for CG when they had it. As I remember, HBJ purposefully incurred a large amount of debt in order to avoid a hostile takeover by its competitor. Keep in mind they already had SeaWorld and CG for many years before the takeover attempt. The hostile takeover was avoided but they had to sell all their parks to Anheuser Busch which included Boardwalk & Baseball. As I understand all that really took a heavy toll on the owners. From what I've been told, Jovanovich sailed off on his yacht and was never seen again, Brace retired and sold his part, so now HBJ was known as Harcourt until 2007 when the company was sold off. I wonder what would've happened if the takeover wasn't attempted. Would they still have all their parks today? --Guest-- Thanks Coasterjunkie--I'm glad someone else enjoys viewing these old photos I found on the net as much as I do. 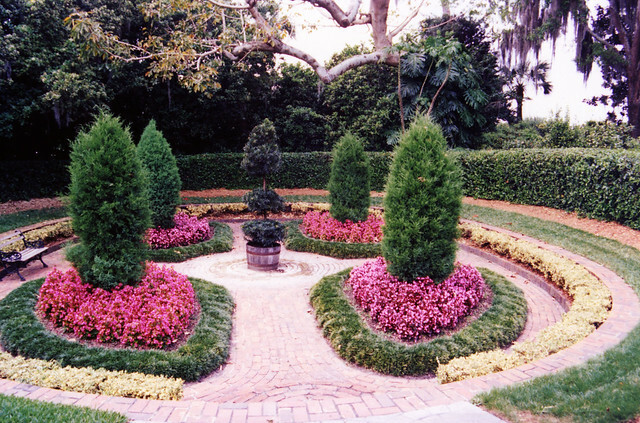 By the way, the Plantation Gardens were created by Anheuser-Busch after they bought the park from HBJ in 1989. 956 Posts The old photos are nice, but I was at CG from the 1970's on and photos don't do it justice - you had to be there to really appreciate what it was. In the peak years it had outstanding floral displays and seasonal displays. But as the years went on, especially after CG was sold by Anheuser-Bush, the high cost of floral displays and the lower attendance made the budget for floral displays less and less spectacular. 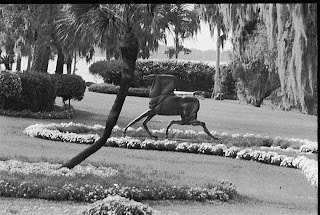 Realizing that floral displays alone were no longer going to attract enough guests - CG added concerts, over 6 million Christmas lights, more animals, more shows, much smaller flower festivals, a small water park area, etc. They tried for years, it didn't work, and CG shut the doors for the 1st time. One failure after the next followed for CG. Now there is LL and what is left of the CG botanical garden as an often forgotten partially open side show. CG had its run and it will never again be what it was - sad reality. 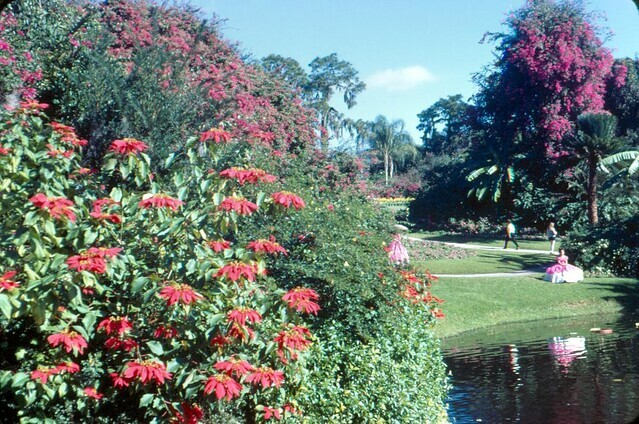 So look at some old pictures to remember if you were there - but I would suggest going to the many spectacular botanical gardens that still do exist to truly appreciate the beauty in person. New experiences are always better than old memories and old pictures. 1451 Posts Sean, keep posing those old pictures. I love looking at them! --Guest-- Another thing that evolved in the old Gardens of the World area was the first annual Spring Flower Festival in 1992. The festival ran from March 15th through May 15th each year thereafter and featured floral beds with thousands of colorful spring annuals. The highlight of the festival were the newly constructed topiaries. The first festival featured 10 topiaries that included a giant Easter bunny, 14-foot high swans, prancing pea@!#? @!s, recumbent butterflies, and three ducks. Unlike conventional topiaries, which are bushes trimmed to shape, these topiaries are built up with a frame work and then planted out with flowers that blend with and complement each other. Each topiary was also carefully constructed on a wheeled platform making it convenient to transport from the work area to the festival display area. 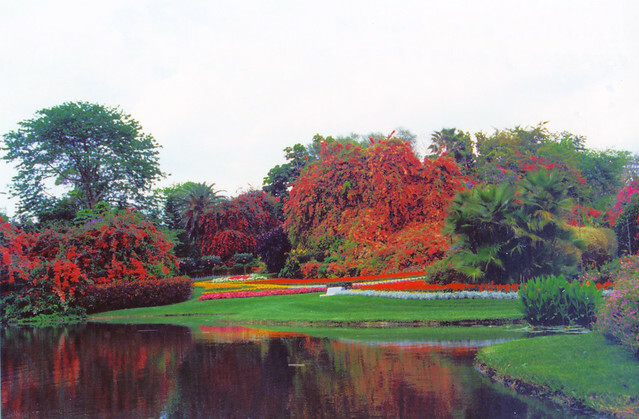 Other topiaries were added over the next couple of years to include 8-foot-high cardinals and a 50-foot-long inchworm. 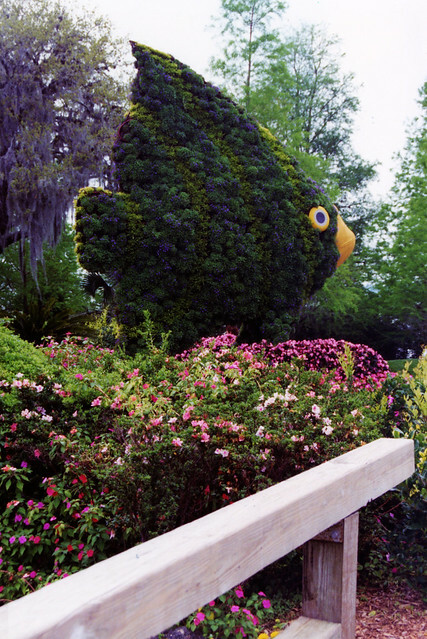 In 1997, the park added three animated topiaries that consisted of an immense ladybug with her antennae scanning the park, a 12-foot snail searching for a tasty leaf, and a 13-foot-tall sea lion balancing a colorful beach ball. The last Spring Flower Festival ended abruptly in 2003 when the park closed. 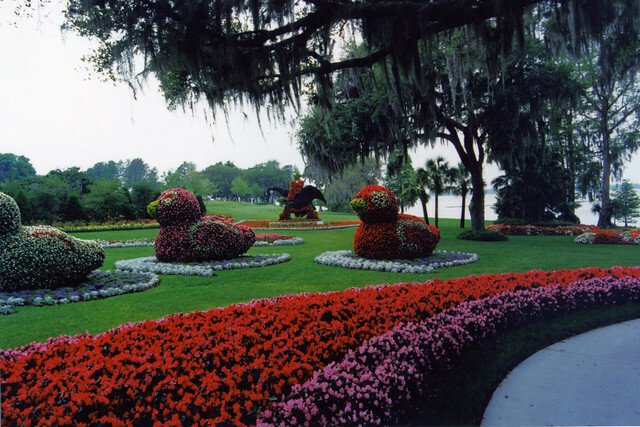 Many of the topiaries were brought back in 2004 when Kent reopened the park. You can view Greg's topiary pictures to look at some of them. Kent didnâ€™t bring back the Spring Flower Festival but instead made the topiaries a permanent year round display. The topiaries disappeared after LL reopened the park. So far, LL hasnâ€™t shown any indication that the topiaries will return. They probably still have them all stored onsiteâ€”you can currently see the beach ball balancing atop the sea lion topiary jutting above the fence next to the Banyan tree. If the topiaries never make a return, I hope these pictures will bring back fond memories of these magnificent creations. Most of these pictures were taken in 1994 and 2002 (about one year before the park closed). Click on the links if you would like to see more pictures from those years. 956 Posts Considering that parts of the historic gardens are not opened, the parts that are open are below the standards they use to be, and just about everything CG outside the original botanical garden area has been eliminated - there really should be no surprise what was no longer is. Just part of the transition from being CG to becoming LL. --Guest-- Here's a link that shows how the French Garden looked in 2005 under Kent. It looks just as good if not better than the earlier photos. Here's another link if you would like to view some more photos from the 2002 Spring Flower Festival. Enjoy! 1451 Posts Nice shots Sean! It's kind of hidden. I never found it under the Kent days. I only found it under LL because the sign said "No Outlet." It's blocked off so you can't walk around, but it's not hidden or anything. Hope they spruce it up soon! --Guest-- One last thing that developed in the Gardens of the World area was the king of the flower festivalsâ€¦the Chrysanthemum Festival which was held in November of each year. 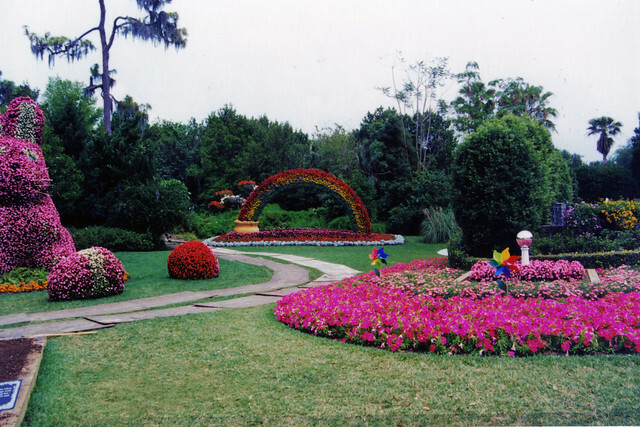 The Mum Festival began in 1984 as a modest display of approximately 60 plants shaped in simple cascades. 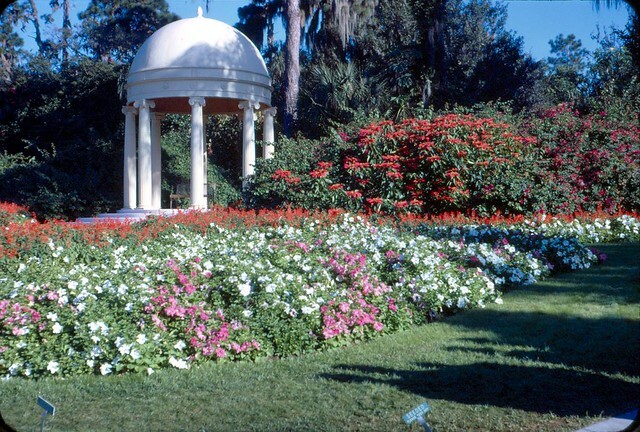 After receiving positive public response to the initial display, the park began adding new floral elements over the years to include a spectacular 20-foot blooming archway that served as an entrance to the festival, colorful striped columns, tree forms, miniature arches, and gazebos. 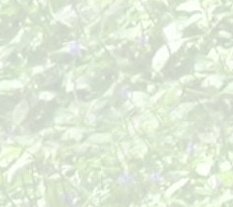 --Guest-- Here are a couple more links showing pictures that provide a good overview of everything I've previously posted under this thread. Some of the pictures were taken the last day the old CG was open (April 13th, 2003). This concludes my Gardens of the World historical presentation. --Guest-- Does anyone know what happened to the 20 ton sundial?